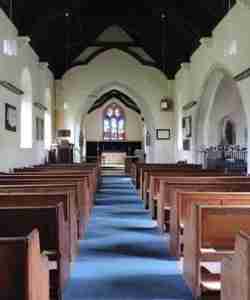 There was no doubt a church at Norton Bavant in the mid-12th century, when Edward the priest of Norton was twice mentioned. Part of a Norman font which was found re-used in the tower in 1894 also points to the existence of a church at that time. The advowson was annexed to the lordship of the manor until the Dissolution; it was reserved by the Crown when the rectory was granted away, and was exercised by the sovereign or the Lord Chancellor until 1955, when it was transferred to the Bishop of Salisbury. 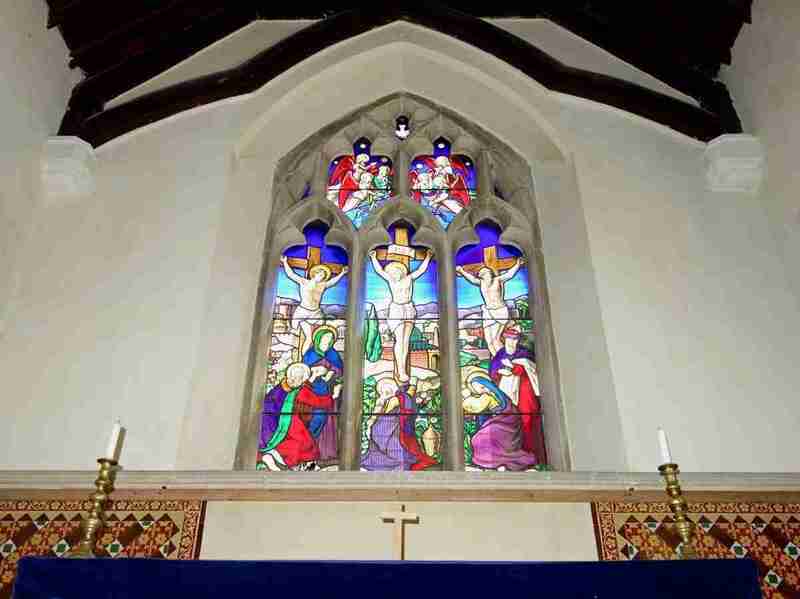 The recent restoration is detailed in the PCC file in the church. 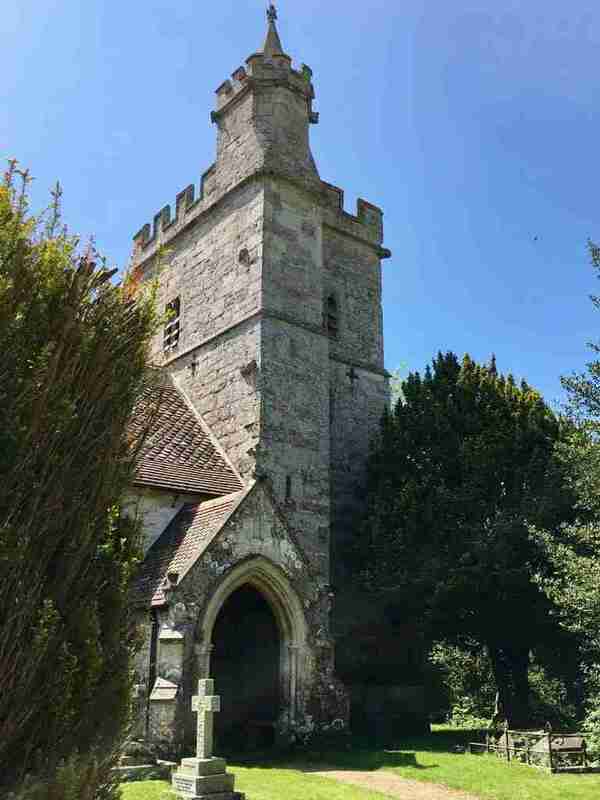 The church of All Saints, a dedication mentioned in 1364, stands now just inside the park gates of Norton Bavant house [now known as the Manor]. It consists of a nave and chancel, south chapel off the middle of the nave, north porch and vestry, and western tower; of these only the tower and the arch into the rest of the church date from before 1838-40, when the rest of the church was rebuilt by William Walker of Shaftesbury. 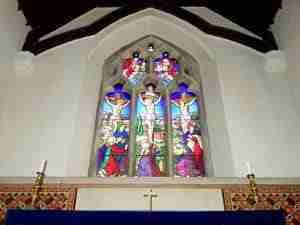 The old church was on the same plan as the present, which was, however, 'somewhat enlarged'. 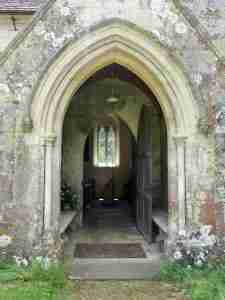 The arch into the chapel is of the 14th century, and there can be little doubt that the chapel itself housed the chantry mentioned above. A piscina survived in it until the rebuilding.The two lower stages of the tower are also of the 14th century; the upper of them has a moulded fireplace, the flue of which was blocked when a third stage was rebuilt or added c. 1500. The whole is surmounted by a moulded string course, with angle gargoyles and a battlemented parapet. At the north-east angle of the tower is a stair turret projecting to the north. It is carried well above the top stage of the tower, and has its own string course and battlements, crowned with a small stone spire. 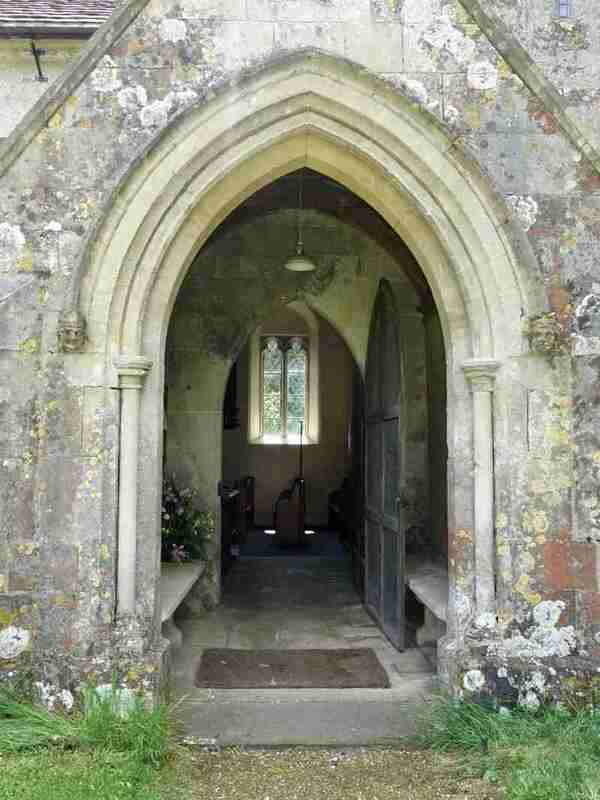 The remainder of the church is of ashlar from Tisbury, in a vaguely Perpendicular style. 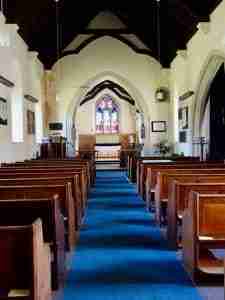 It was built between 1838 and 1840, partly by church rates, but mainly by subscription; John Benett, the lay rector, provided for the chancel and the chapel, while his sisters gave largely toward the remainder. It was restored at the cost of John Torrance in 1868, while his widow restored the tower in 1894. 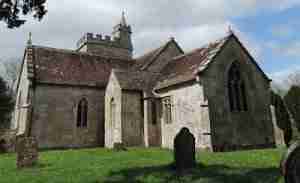 There were three bells at Norton in 1553. One of them still remains, inscribed 'Sancte Tome Ora Pro Nobis'; it is thought to have been cast at Bristol in the late 14th century, and forms the third of the present peal of five. The first was added to the peal in 1894; the second is a re-casting of that date of a bell formerly dated 1656; the fourth is by Edward Lott, the Warminster founder, dated 1711, and the fifth is of 1656. A tradition that the bells were taken to Norton from Bishopstrow seems to be unfounded, at least for the bells dated 1656 and 1711, for each bears the name of a churchwarden who certainly lived in Norton. 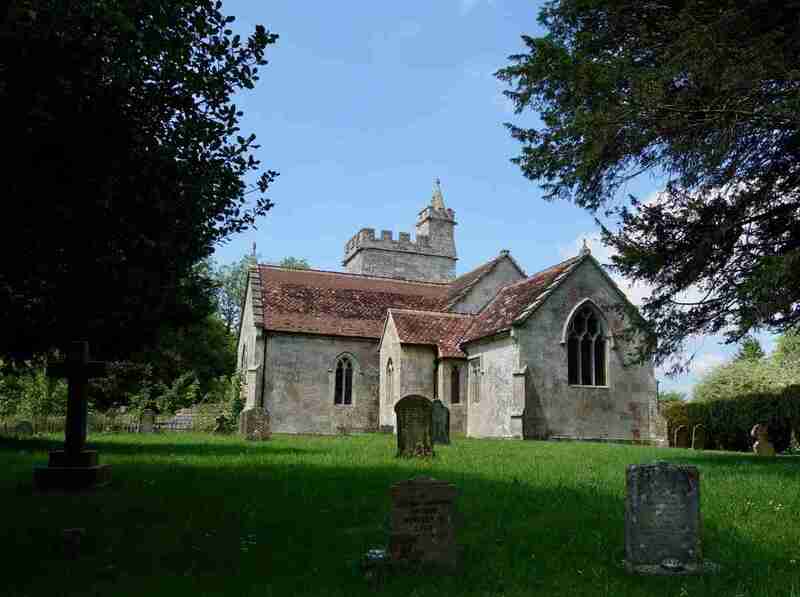 There were four bells in the church by 1783.
Credit: The Victoria History of Wiltshire; Volume VIII; University of London Institute of Historical Research; Oxford University Press, London.